(Newser) – Fans of the Cathy comic strip—and critics of it as well—may want to check out a profile of creator Cathy Guisewite at The Cut. Writer Rachel Syme sees the 69-year-old Guisewite as a "paradox." After all, few women were in the field when Cathy first appeared in 1976, and its huge success turned Guisewite into a "pioneer"—a female creator of a popular comic that was geared toward other women. "And yet Guisewite broke through the glass ceiling by creating a character for whom disempowerment was a way of life," writes Syme. That is, Cathy the character, famous for her cry of "AACK!," often worried about things such as her weight and dating. And when the strip ended in 2010, younger women especially dished out some scorn. Syme suggests it's unfair. All I have to say is, I miss Saturday Morning Cartoons in all their simplicity, corny and that they were just fun to watch. Nothing like Today’s Cartoons, where from the beginning to end, you are bombarded with political commentary, correctness and offended by the language, support for sexual immorality and how “Inclusive and Progressive” the world is and should be. It is these same freedoms, that have, are and will be Mankind’s downfall. I also enjoyed the comics, I may not have expressed a smile, laughter, annoyance, irritation or anger over them, but definitely an eye roll ? ?, a time or two. Often comics communicated simple messages, without having to slap you in the face and or hit you over the head with it. If you got it, great ! If not, oh well ? The point here is, Cathy kept trying ! Just like if you fall down, you do your best to get up, dust yourself off and move on. You can always find a positive ! Like whether people believe the Devil is real or just an evil within each of us, the positive that there is with regarding the Devil is, “He is consistent”. 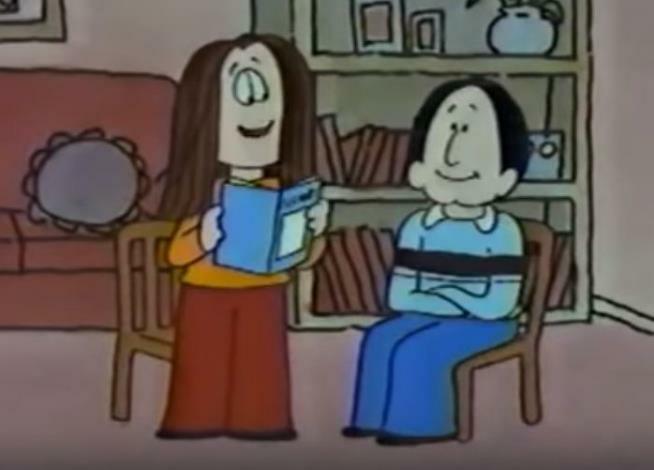 I have always like Cathy. I'd thought it was a progressive cartoon for it's day. Cathy and I have the same birthday too!